Embrace the notch (and other things). If iPhone X is the future, then iOS is the vehicle to get us there. 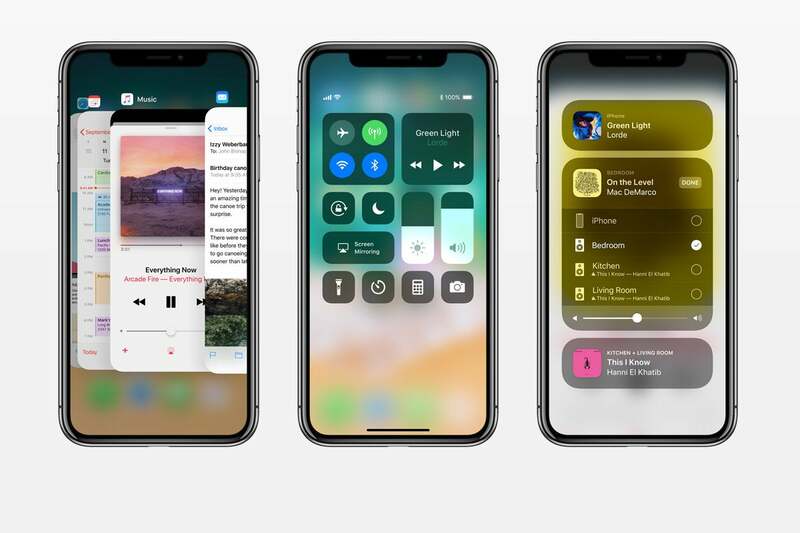 Apple’s latest iPhone introduces all sorts of little changes to iOS that compensate for the lack of Home button and the camera notch, but for the most part, iOS on iPhone X isn’t all that different than it is on the iPhone 8.
iPhone X would be stunning with a true iOS dark mode. As we can see on Apple Watch, a dark OS theme takes full advantage of OLED, blurring the lines between the glass and the screen, and giving the illusion of an infinite screen. Apple might tout iPhone X as being “all screen,” but in reality it actually has a pretty thick bezel. We can kind of simulate it with the Invert colors toggle in the Accessibility settings (as seen in the picture above), but a true dark mode in iOS would eliminate the visual barrier between the screen and the bezel and make it seem like you’re holding a edge-to-edge piece of glass. Face ID is very impressive on iPhone X, but it’s not quite perfect. Much like Touch ID’s debut on the iPhone 5s, Face ID is very much a work in progress, and Apple is surely going to improve the speed and reliability of it on future iPhones. Two things we’d like to see, though: greater angles of recognition so we don’t have to focus so intently on the screen while unlocking, and the ability to add a second face. With Touch ID, our spouses and kids had fingerprints registered so they could use our phones without asking for our passcode (or our fingers), and we’d like to do the same with Face ID. 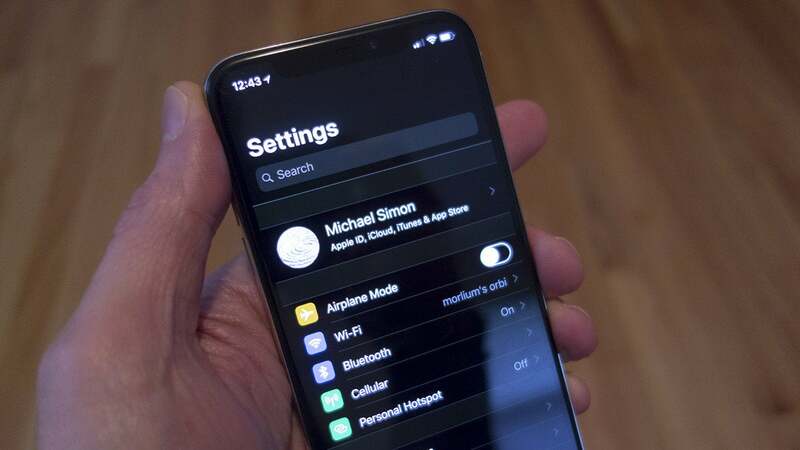 Apple should use the notch for more than just static icons. OK, we’ll admit it: The camera notch isn’t nearly as bad as we thought it would be. While it still looks a little silly in pictures, in practice it’s not all that distracting, and in the right instances, it’s actually kind of cool. But one thing is for sure: It’s not going away anytime soon. So, if that’s the case, we’d like Apple to add even more functionality to the spaces around the notch, turning the status bar into a fully interactive space that eliminated the need to open the Control Center so often. For example, tapping the battery icon could show how much percentage is remaining or tapping the time could toggle between it and the date. And here’s a really cool one: Reddit app Apollo (seen above) uses the top right space to show sound adjustments so your view isn’t obstructed just because you want to raise the volume. There’s no doubt that at some point in the future our iPhones will automatically jump to the home screen as soon as we look at them, but until that day arrives, we still need to swipe up. The problem is, you need to swipe from the very bottom of the screen where the home indicator is. And we often forget, meaning we have to swipe twice to unlock. Much like Apple removed the bar in iOS 7 and let us slide anywhere to get to the passcode screen, the ability to swipe up in the center of the screen would save literally hundreds of seconds each day. 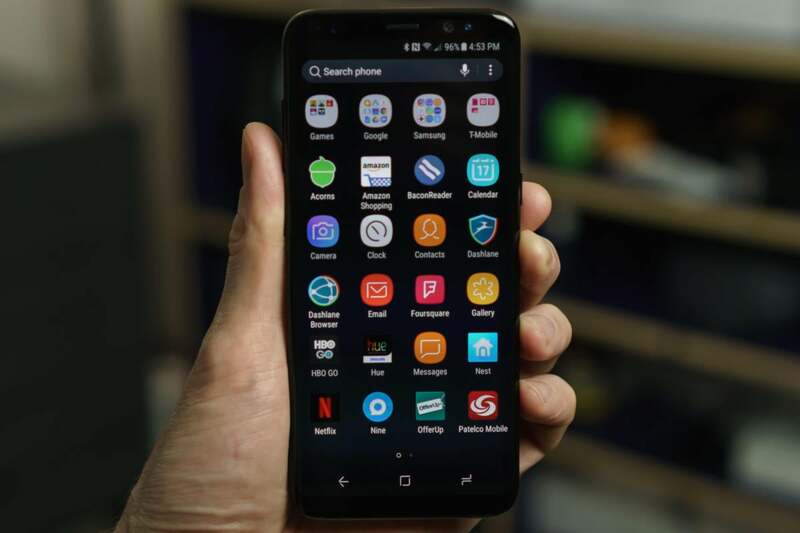 Always-on displays are out of this world on Android phones..
Now that Apple is finally using OLED in an iPhone and can take advantage of its power-saving benefits, the time is ripe for an always-on display. A staple of Android flagships for years, it’s an incredible useful feature, showing things like time, battery percentage, and notifications without needing to do more than glance at your phone. We’d love to see what an always-on display would look like on iPhone X, but mostly it would be nice if our phones didn’t light up every time they need to alert us that a notification has arrived. Without the Home button, the only way to turn on the iPhone X’s screen is to press the side power button, so Apple gave us a cool gesture: tap to wake. But it only works when the display is off. To turn off the display, we still need to press the power button. 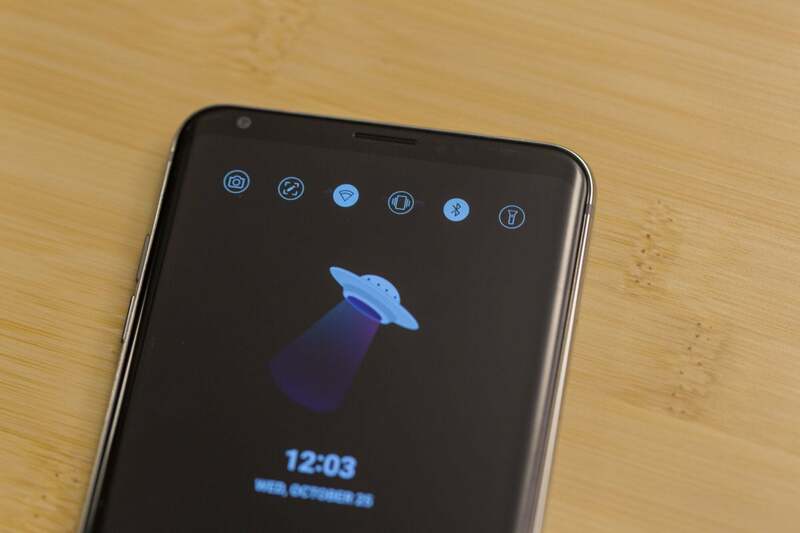 On LG phones, you can double-tap on the home screen to put it to sleep, and it would be incredible useful on iPhone X too. It sure would be nice if we could tuck our apps away into a drawer in iOS 12. We’ve been hating on the icon grid for years, but on iPhone X it’s downright criminal. With such a brilliant screen, we want to see our entire home screen image, but Apple still forces us to clutter our screen with icons. It’s time Apple gave us the option to keep them hidden a la Android’s app drawer, showcasing the iPhone X screen in all its glory. We can debate the merits of Face ID over Touch ID all day long, but the bottom line is we shouldn’t need to unlock our phones every time we want to use them. On Android phones, you can keep your phone unlocked when you’re connected to trusted Wi-Fi networks or using certain Bluetooth devices, and a similar feature would be awesome in iOS. How great would it be if you didn’t even need to use Face ID to unlock your iPhone X once you strapped an Apple Watch onto your wrist? 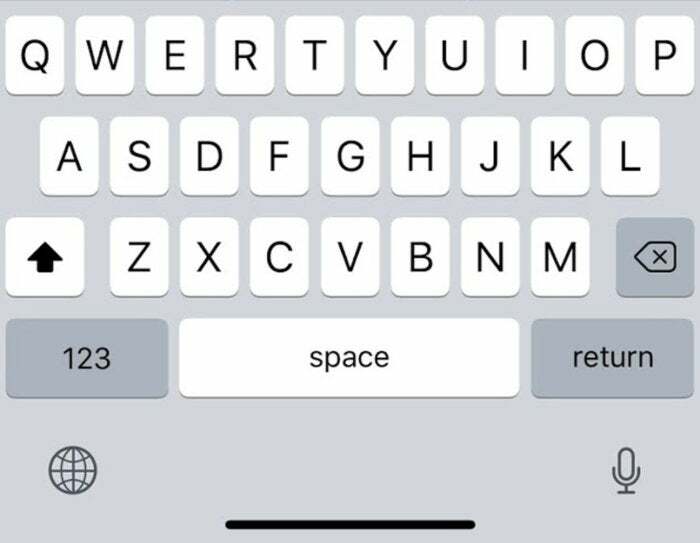 The Phone X keyboard has an awful lot of wasted space. iPhone X may give us more screen to work with, but when you’re typing a message or email, you don’t actually get any space benefits over the iPhone 8 Plus. That’s because Apple has opted to position the keyboard with a sizable bit of space below it so as to not interfere with the home indicator. Fair enough, but at the moment, it’s pretty much wasted. Apple has put the dictation and keyboard switcher buttons down there, but why not add a Touch Bar-style row of favorite emoji too? Or at least let third-party developers customize it with their own buttons? Every pixel on iPhone X is valuable, and it’s a shame to have so much blank space. iOS 10 brought some serious multitasking abilities to the iPad, but it needn’t be relegated to tablets anymore. Now that the iPhone X screen is nearly six inches, we should be able to run two apps comfortably at the same time. Or use a PIP window and drag and drop. iPhone X’s giant screen and gesture-based navigation opens it up to a whole array of multitasking possibilities, and iOS 12 needs to get on board.